Not much has happened in the homebrew scene over the weekend for new ZX Spectrum games. But I might as well give a shout out to Rikokun's rather simplistic shooter, that comes with a lot of frustration. 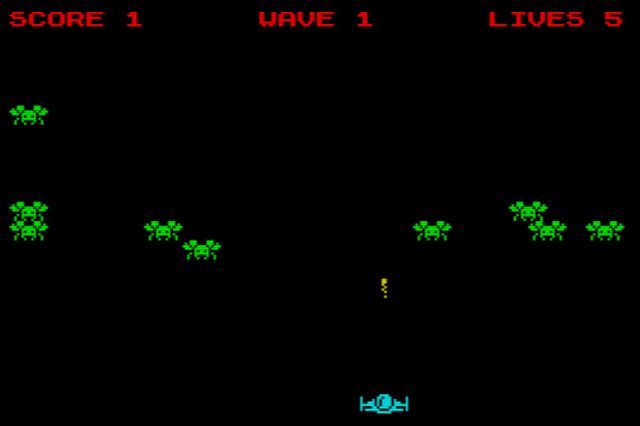 This is 'Lamega', a game that was made in ZX Basic over the weekend for the ZX Spectrum, and as the developer noted was rather bored and decided to make a Lame Galaga, hence the name.